In 1990 the cannon had to be moved from the front of McMichael Hall because of the construction of a new building, Wells Theater. Once the cannon was recovered from the hole and concrete, the next task was to restore the cannon to its original state. Not every individual in the Warren County area was in favor of restoring the cannon. Some complained that restoring the cannon would result in collateral damage such as an artillery duel between Monmouth College and Knox College. Even with the complaints of the few individuals, Monmouth College gained enough support in favor of restoring the cannon. Thanks to donations from faculty, alumni, etc., the cannon restoration process was underway. The task of restoration went to the Tennessee Artillery corps, company B, or better known as Scott's Battery. The main restoration needed was a new wooden mount, which cost Monmouth College approximately $6500. 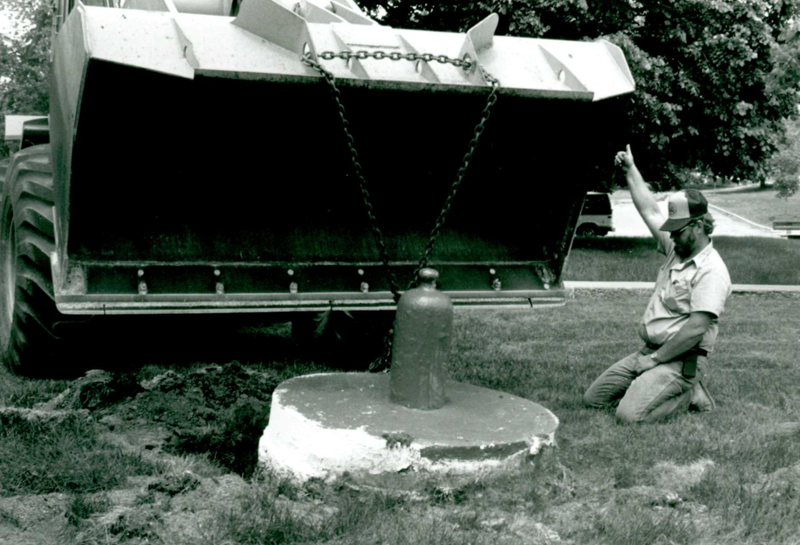 In 1990, the Cannon is unearthed from the hole in front of McMichael hall for restoration. 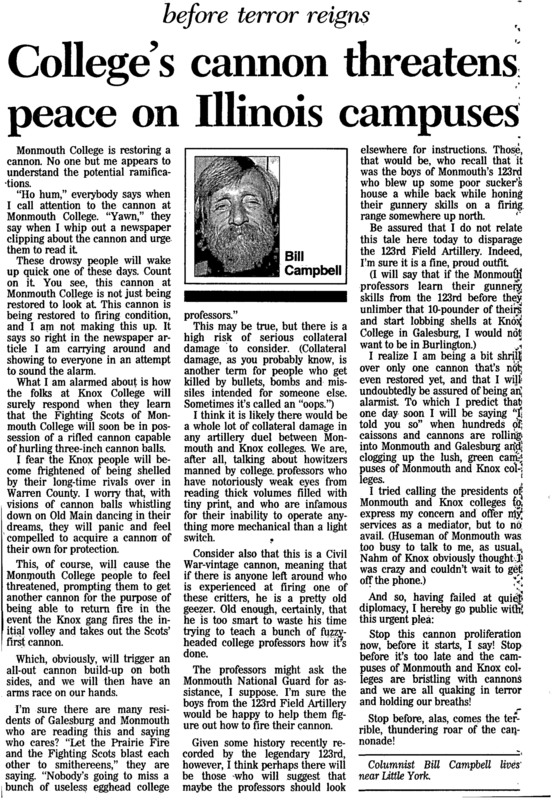 Bill Campbell discusses how restoring the Cannon will threaten the safety of others. 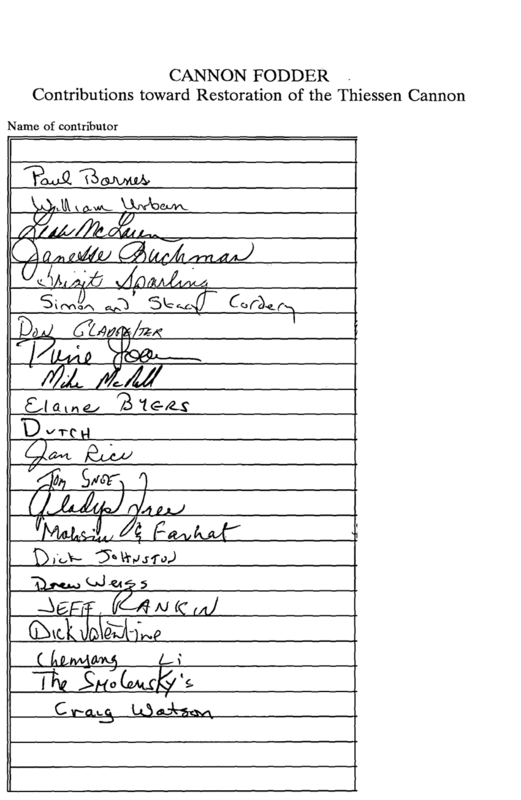 List of individuals who donated money toward the restoration of the cannon.